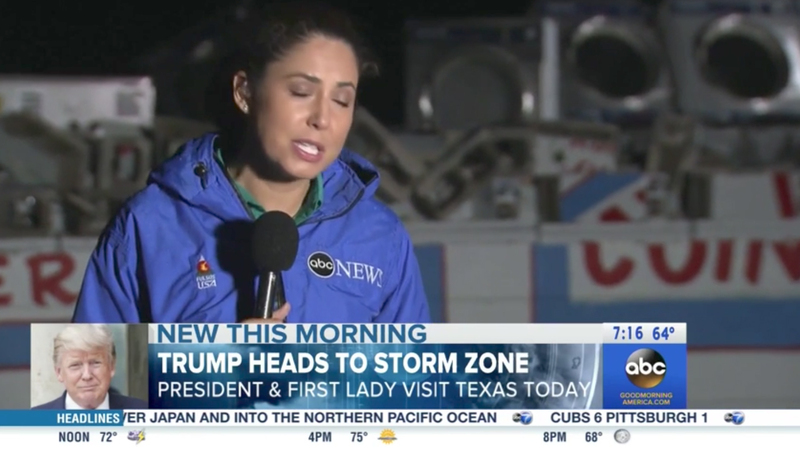 After a busy night of covering the Houston flooding in the aftermath of Hurricane Harvey, the networks continued their extensive coverage Tuesday morning. 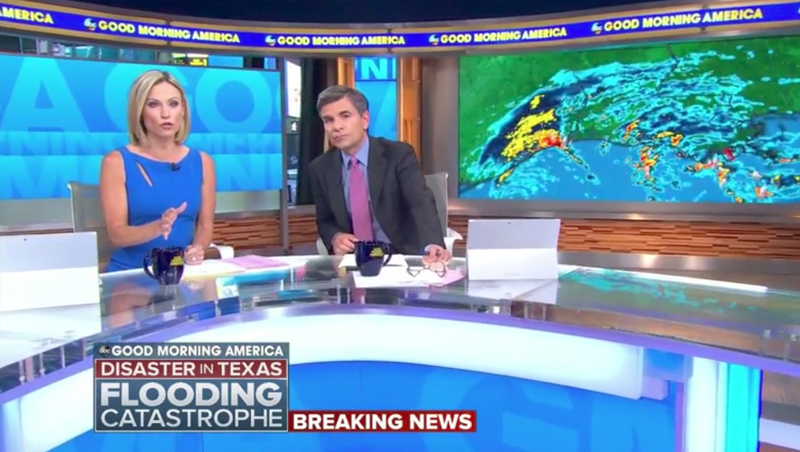 ABC News‘ “Good Morning America” used its “Disaster in Texas: Flood Catastrophe” logotype in the lower left of the show open along with a “breaking news” flag. 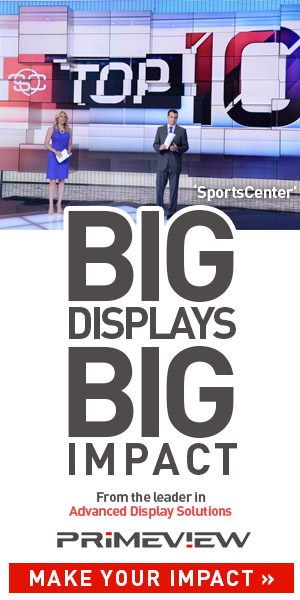 The anchors opened the show at the show’s Times Square studio with a radar loop of Harvey visible on the video wall to the right of the anchors. 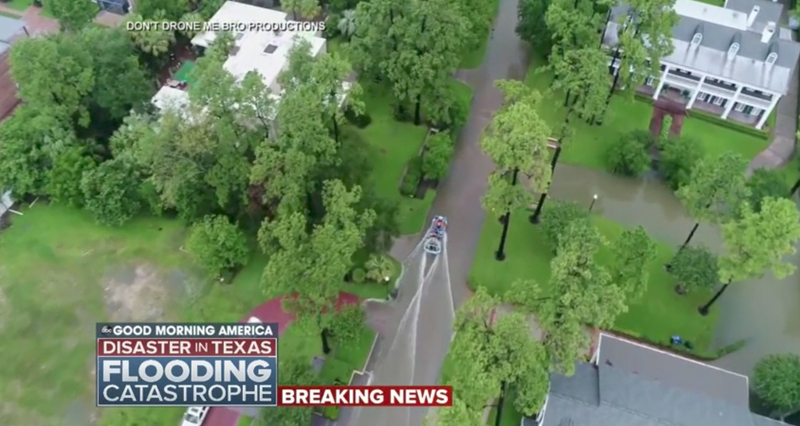 The network continued to use its deep blue lower thirds for Harvey related coverage.